All rumors and lies, news and fake, opinions levels and lines and ideas that might be the fundamental's in futures today. Ideas to cut through the hype in commodities. 1030 AM- Alert- Algo's gap buying now, buy 10 every 20 seconds? TOL. Alan we are under your olive buys? Yes hard and vertical just like hogs. What % are we down? In train and this is my down time. Late- We just popped 20c WN. Enough, this is to public. The time to trade is now. KWN levels 441, 435 last weeks low like corn folks. Im trigger happy flipper long, double up? These are strategy play bets, nickel ish stops or something. 418 is next but over old lows if bullish. Risk is down if these HFT punks low ball into qtr end. Im also nervous. Get ahalf dozen guys and I will come out, Saturday school before the combines roll and you might miss yet another, enough. In Your court. I like corn and look for a weekly turn up. Analysts very bearish cheap inflationary gains but we have to sell your product to get it out door. Right? Corn CK has line by overnight low where selling can cease. I have a lesson on this high impact geek condition, a educational candle lesson video for those that like my lines. I do your chart level DNA and you trust the levels because you have heard these chirps a year. I am here to broker your spec bets at these extremes because we use open orders at extremes. Get it? Down at 53 or M Q LH you buy the back months because thats where the squeeze is without China? Weights down due to worst ever cold? Last July 2018 Chicago had driest ever. JULY only,. It doesnt matter. Aussy drought, EU? Corn users- Buy but timers if we break I have 13c air below fyi. CK 361 is big to me, geek line. I like buying Mrch31 low ball accounting. Like FC LC last year again. FC- H options still have time may be safe way to protect short hedges? I dont know, idea only. Why are we glued to green 149.20 is it? On train with illegals. Call if your serious and timing this week. In any event I think lows in C W KC N9Z20. Whats minus .68c? Buy that one but call. Its in todays chart levels and its extremes. N0Z0 maybe? KC. Coffee- stand to buy lower. Under 95. Call, whats an olive extreme consultation worth? Oats traded 2.60 1/2 last night if bullish I have 3c risk lottos futures bets. As soon as that old 2-day ( my lightening strikes twice alanism, 2days in hogs. Only in futures markets) 10mofu% two day firesale? That was the event and if you dont see why I say think about who is going to get the exposure to markrts when they unfold and happens to have a levels to take a stab during freefall. This is my passion for finding where the market may turn. Hogs- day 3 bull mkt#2 in March. We are back at last quarterly meaning hogs ain't done nothing. What if we rally another 10% in 2 weeks? Expect the unexpected and there are bigger, dumber people that these markets go after. Get professional or find some help. FC yesterday had a .25c short bet, new high stop. Lots if opinions. I find the pattern recognition where we take shots usually when it is the despised trade, hogs last month, corn wheat today. SMN- 3.07.00 is very big level, use as pivot. No Pigs eating Meal? What about restocking? What else, stock index traders that are short. Always always use a stop. EP Spus were stiffest all day buying. Not a 4 handle pullback is huge buying. Frontrunning tax refund IRA money? Yep. Seriously do not get hurt short, in stocks. My levels are good and my diamond condition helps not be the gold mans hood ornament during consecutive buying bars. Say buy 17 contracts every 49 seconds? During that time that my pros now call around daily. Stocks can make recent new highs cannot be ruled out. Bonds- The US govt is taking in No TAX revenue. It went to .1%. Brexit event is next two days but it can be any day. 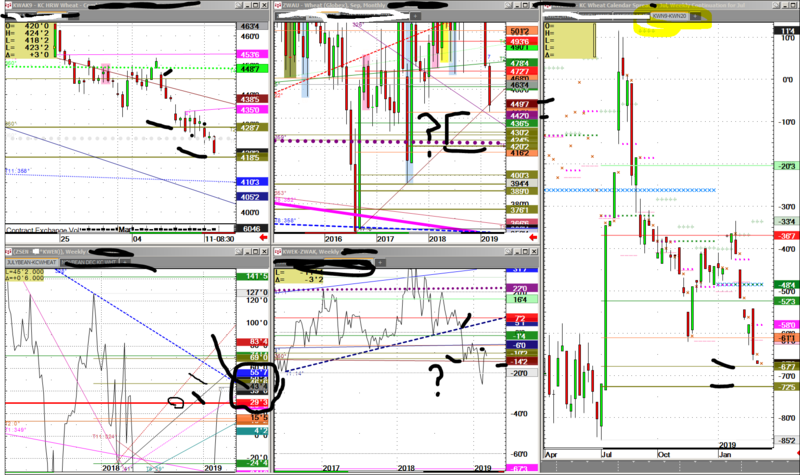 Thats why you want access to understanding whats playing out in futures markets. I will do your brokerage or you can help me out and get my chart levels. A continual stream of some charts that will have you believing these markets really do only follow the rules of lines levels conditional swing trades that happen fast and you can take it and run. I can always find another. You can get in by end of month during the chaos of the Irish Border dispute the news refuses to explain to US. Illegals- fact AND I am off my bet it would triple. It was up over 100% to 278k (guess,) per 3 or 4 months. World is overpopulated by $3bil call it. We will run out of water. Best of trading and always have a risk stop. Its getting volatile out there. RED LINE IS WHERE SELLING CAN, CEASES. A conditional trendline. Back over old low seems like a layup with new low stop for timers, users? Buy it hand over fist. Many unknowns, UK might get access to US WHEAT? Brexit chaos anytime, keep powder dry but hogs up 12% ish off last months OLB LOWS 5280. This is corn and wheat close your eyes and buy it. Spring weather? Farmers broke? Bankers squeezing them? China buying US Farmland out there in Kansas KS? Hey Mr. Ag Banker (you would love my math olive) let me know if such is happening.